The above two photos are taken from the Alnwick Garden Facebook page back when I booked in the Summer. On the day of our visit, I searched my ticket, emails, the Alnwick Garden website and Facebook page for further information but couldn't find anything. 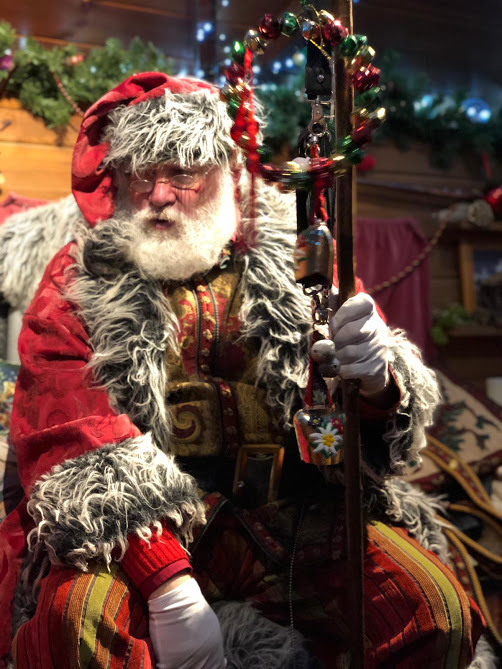 I didn't know where to park or where to go so sent them a quick message which is when I found out that we wouldn't be seeing Santa in the Treehouse after all. I'm not going to lie, this was a HUGE disappointment to us. Alnwick Garden sell their treehouse as being one of the most magical places in the world so you'd think they'd mention to ticket holders that there was a change of venue. 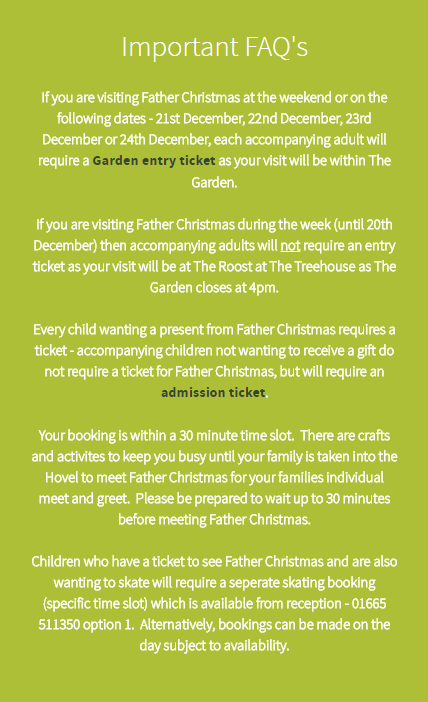 When we arrived, there was no info anywhere or members of staff around to ask - just a paper sign on the treehouse entrance stating we needed to head to the main garden entrance if we were here for the grotto. Another thing that annoyed me was that it said on my ticket to head to the main car park and bring £3 for parking yet when we turned into this, the gates were shut. There was nobody around at all to ask and as we pulled into the Treehouse car park (usually reserved for disabled visitors), we weren't even sure if it was open at all. It was like a ghost town. A few car park attendants/elf greeters wouldn't go amiss when you're spending £50+ for an experience. Communication for this event has been absolutely shocking. Anyway, we made it to the entrance just before our 4:30pm time slot and found a staff member who scanned our ticket and directed us the craft hut next to the poison garden. The garden was closed to the public and the cascade was not operating/ we were not allowed to walk around the garden but we still got to see the lights which were pretty. We made our way to the craft hut where we were met by an elf. They checked our name and walked us over to the craft station where they sternly warned the children they could decorate one bauble each only and then try some colouring. The elves then stood by the doorway chatting to each other for around 25 minutes as they greeted more families / called out names to see Santa. After visiting Santa on the Rooftop at Fenwick, I was really disappointed with the elves at Alnwick Garden. I'd expect them to interact/read stories/act like elves rather than spend the whole time chatting amongst themselves. The crafts were also severely below par. 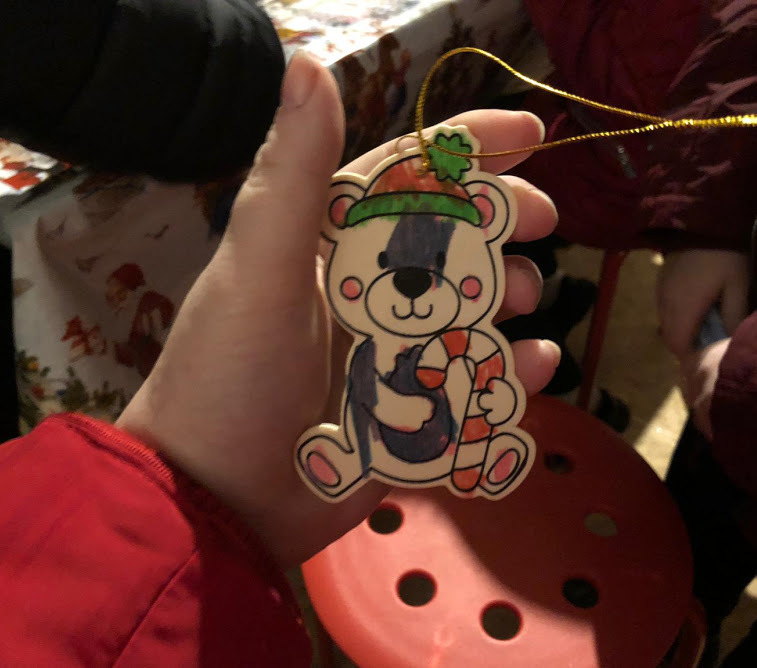 We'd paid £50+ for this 30 minute experience and were presented with a wooden decoration to colour which costs less than 25p on Ebay (yes I checked) plus colouring sheets and a word search with a typo in one of the words the kids were asked to look for. Sorry to keep going on about this but at £16.99 per child I expected a whole lot more. Randomly Whigfield's Saturday Night was playing on a CD player in the corner and it just did not feel festive to me. 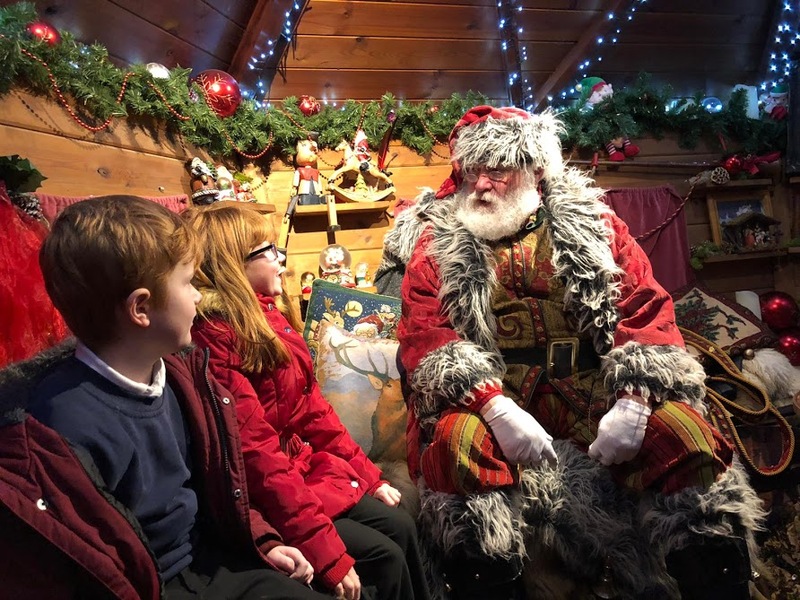 After 25 minutes the kids were getting bored so I was pleased when they were called into Santa's Arctic Hut to meet the main man himself. Having to stand in a huge puddle outside in the rain whilst the family before us finished up wasn't ideal but I guess I'll let that one slip. Luckily, our visit with Santa redeemed the whole experience. He was the best Santa we've ever met. You visit in family groups so it's just your gang and feels nice and intimate. The arctic hut is beautifully designed. Santa shared tales with us about how to listen out for sleighs and asked the kids what they'd like for Christmas. It really was lovely and felt personal/not rushed at all. I suspect we were in there for around 3-4 minutes. 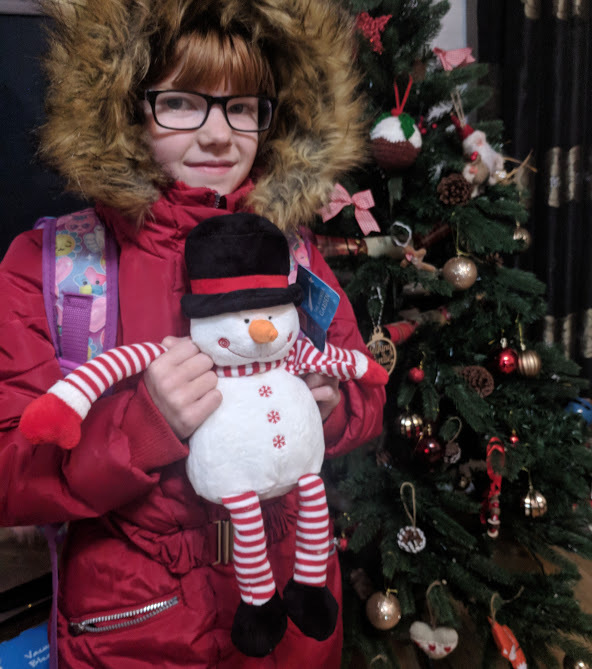 There was time for a photo and the children were all given a present which was a lovely Alnwick Garden branded Snowman which they love. It really is a mixed bag for us. 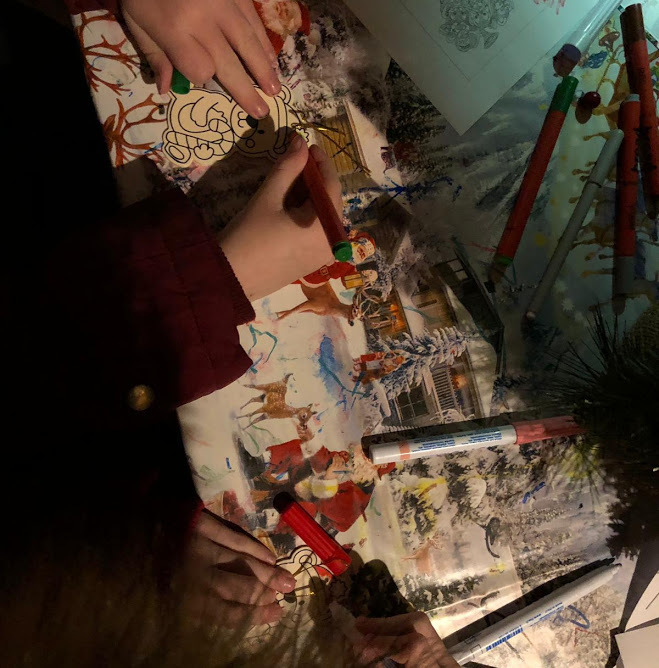 We spent 30 minutes at Alnwick Garden - 25 of which were spent completing a rubbish word search and colouring in a decoration whilst listening to Whigfield. 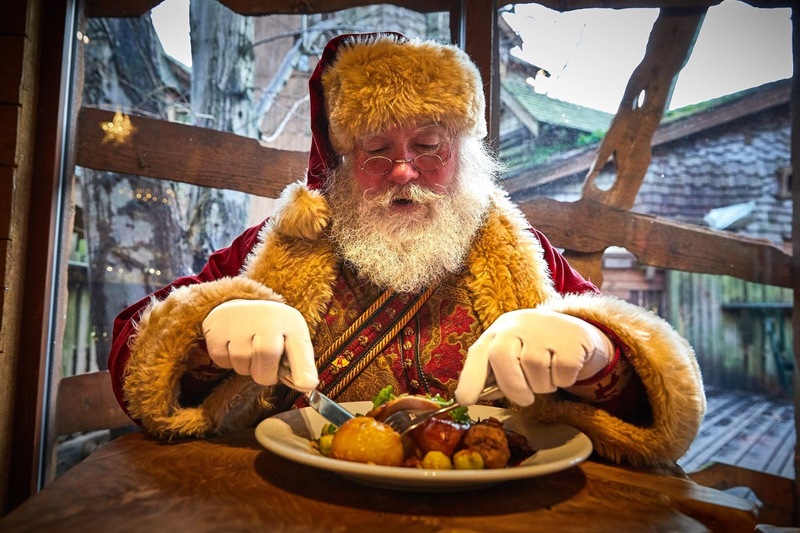 Although Santa was lovely, I just don't think the experience was worth £51 at all. I am perplexed at why the price is the same after hours as it is during the day - during the day, your ticket includes admission to the garden which I imagine would feel like a much better value day out. I *thought* I was paying a premium price because we were visiting Santa in the treehouse but this clearly is not the case. Visiting Santa on the Rooftop at Fenwick worked out to be a similar kind of price for us all but that was a full-on experience with lovely elves, proper crafts, cookies, hot chocolate, popcorn and mince pies and it was interactive for a full hour (read our review of Santa on the Rooftop here). 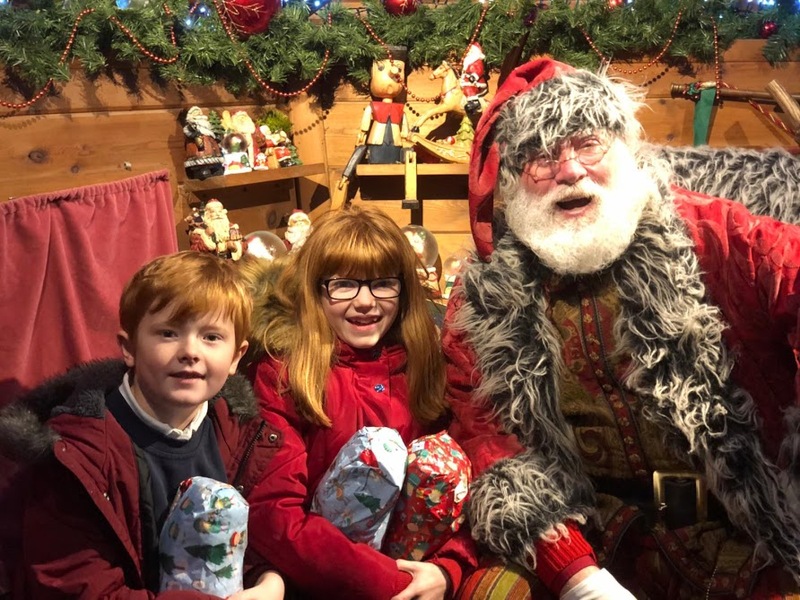 I do feel like the actual visiting Santa part did have the edge at Alnwick Garden though and the kids preferred this experience as they were given a present. 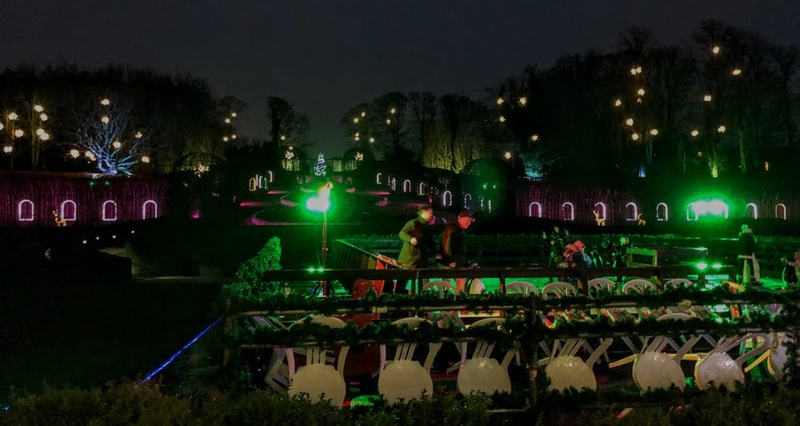 Personally though, I would not book Alnwick Garden in the evening again as felt like it was a huge rip-off and I much preferred Fenwick/thought it offered much better value. 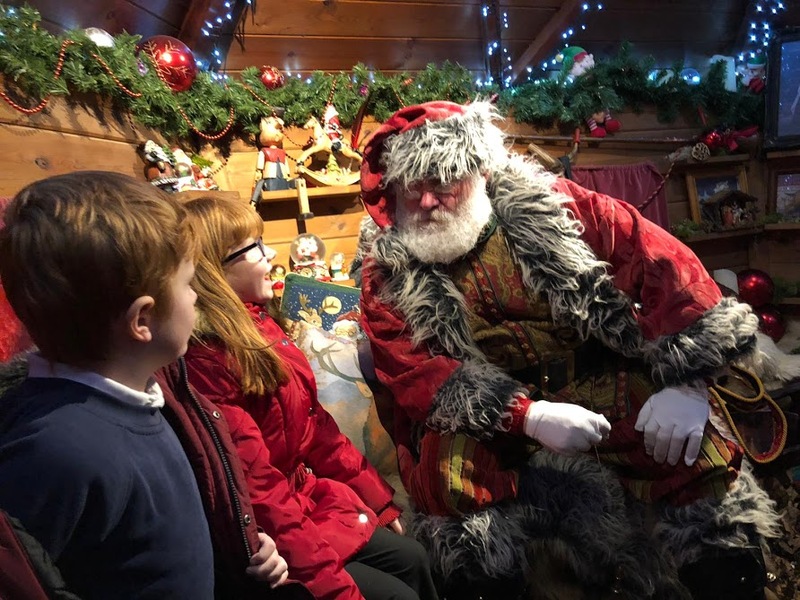 If you're looking to book a visit with Santa at Alnwick Garden next year, I'd either book a daytime slot and enjoy the garden as well or book elsewhere. Update : Alnwick Garden has apologised for our experience and acknowledge their errors. They're also keen to point out that hopefully this was a one-off and won't be repeated for other guests. They also offered a refund and are being proactive in arranging a meeting to discuss improvements. What a shame it wasn't in the Tree house, although the Santa does look fabulous. It's so annoying when you pay a lot for an experience and it's disappointing. We visited Kielder Winter Wonderland a few years ago, after hearing amazing things and were a bit underwhelmed. It was partly due to bad weather, but I just thought that, considering it was an outdoor event, in the North East, they weren't very well prepared for it. Didn't get to see Santa at Fenwicks this year, but got a little taster of the experience when we went to the Rooftop Cinema and have to say that I thought it was beautifully done. What a disappointment especially for a premium price. Sounds like they trying to make as much money as possible for as little a possible. We had a very similar experience last year too. We booked there as we thought it would be so magical at night but like you we found the parking to be in darkness, nobody to greet us, eventually found our way to the craft hut which I agree was quite poor and I didn’t feel the mood was Christmassy In there. I thought that booking somewhere like this with a higher than average price tag would be ‘extra’ special and staff may have dressed up to greet the kids. We tried to make it more exciting while we waited outside by taking in all the beautiful lights in the garden but at one point the lights started to be turned off! The moment we met Santa was amazing though- the best one yet for us (and I’ve been doing it for over 30years!) the gift was very high quality and the time spent with Santa felt very personal and magical (I’ll admit I shed a tear!) but at the end of the experience we were just let out of the hut and were a bit lost of where to go as we thought we might have been able to visit the cafe but this was shut! Overall a disappointing build up but Santa was great and gift is a lovely keepsake however I agree you would be better off going through the day to get the most for your money! We visited AG Santa a few years back and it sounds like a lot has changed and not for the better. Such a shame when the cost is high and you hope your special visit would be a magical one. Have to say glad that Santa was good as we thought he was the best and our children still have their present. So glad that Alnwick Garden have been in touch and are taking this seriously - BRAVO! I bet you were absolutely gutted when you found out the experience you had paid for was completely different to what you got. Changing location like that is just unbelievable - it's a completely different place! Such a shame that such a fantastic Santa was overshadowed by a badly organised event. Fingers crossed things are now better since you've written this!